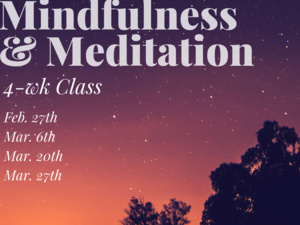 Join the Office of Wellness & Health Promotion's 4-week skills-based Mindfulness & Meditation Class. No prior experience with meditation required. You must register to participate. * If interest is greater than the allotted space, we plan to maintain a wait list. You will be notified if you are placed on the wait list.